Spain v England: Can La Roja score last in Seville? Betting InsiderBlogSpain v England: Can La Roja score last in Seville? England make a trip to the Estadio Benito Villamarin to tackle Spain in League A: Group 4 of the Uefa Nations League on Monday night. The Three Lions have not won a competitive game since making a fourth-place finish at the 2018 World Cup in Russia – their best performance at the global tournament since 1990. 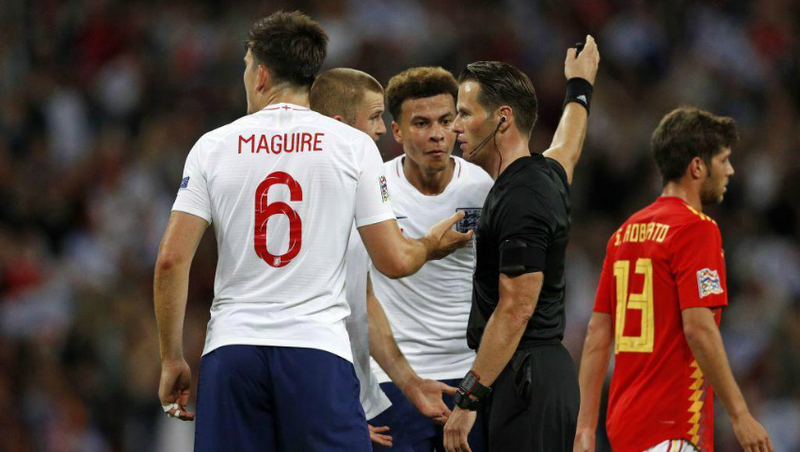 Having lost 2-1 in their opening game against La Roja and playing a goalless draw with Croatia, Gareth Southgate’s men will be aiming to get their Nations League campaign back on track but will have to upset the odds of (5.75) put up by Marathonbet to see that happening. Both sides have only drawn once in their last ten meetings across all competitions, however, a repeat of this is available at (4.00) with the same betting firm. After failing to make much impact at the World Cup, following their second round exit to hosts Russia, the 2010 world champions will be looking to prove their critics wrong by claiming back-to-back victories over Gareth Southgate’s men and maintain their lead at the summit of the table at the price of (1.57). Lately, Spain have been impressive upfront racking up 12 goals in their previous three games and scoring the last goal in two of the three outings. Hence, punters can reap cool return backing them to notch last against the Three Lions at Marathonbet’s offer of (1.40).